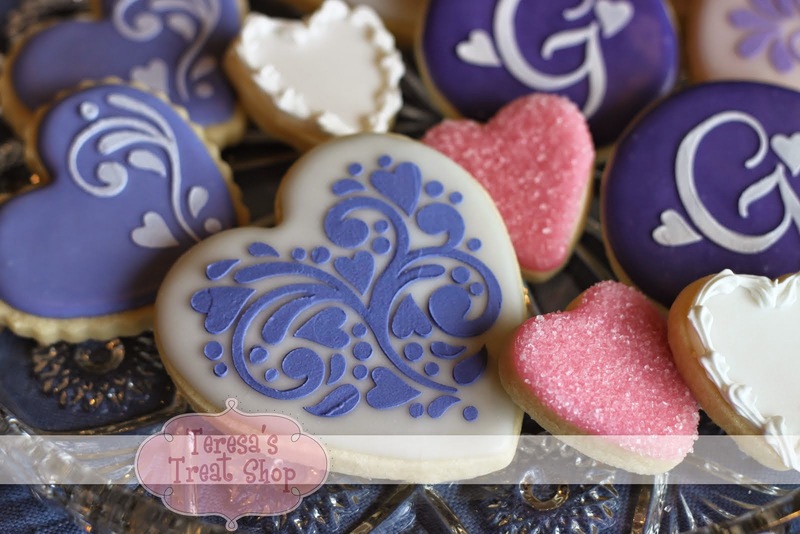 Teresa's Treat Shop: BYU Love! This order was for a sweet girl's graduation party and she's going to BYU! 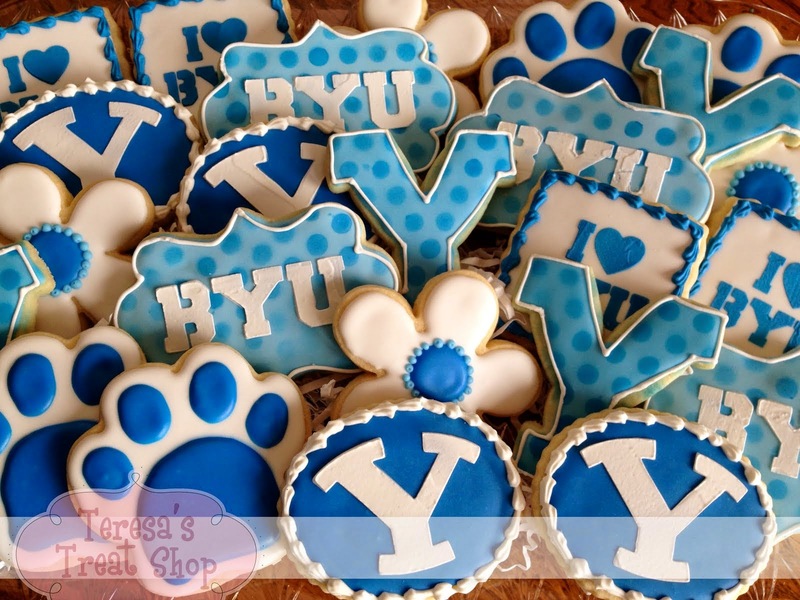 I designed a set of girly, modern, and fun BYU cookies to go with the Y ovals that I've done before. 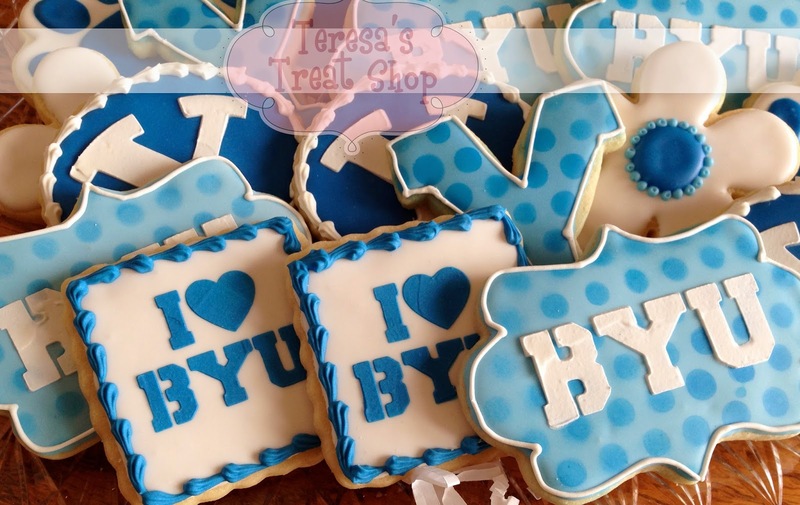 I really love the I ♥ BYU squares and the polka dot stenciling. Probably my favorite set so far! these are so great! 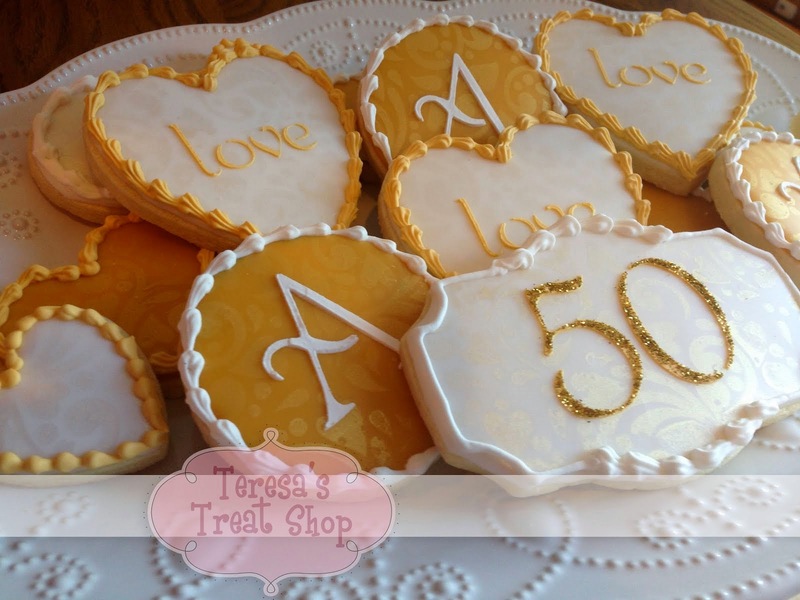 i really like the stenciling technique you've been using. love these!! did you make custom stencils?